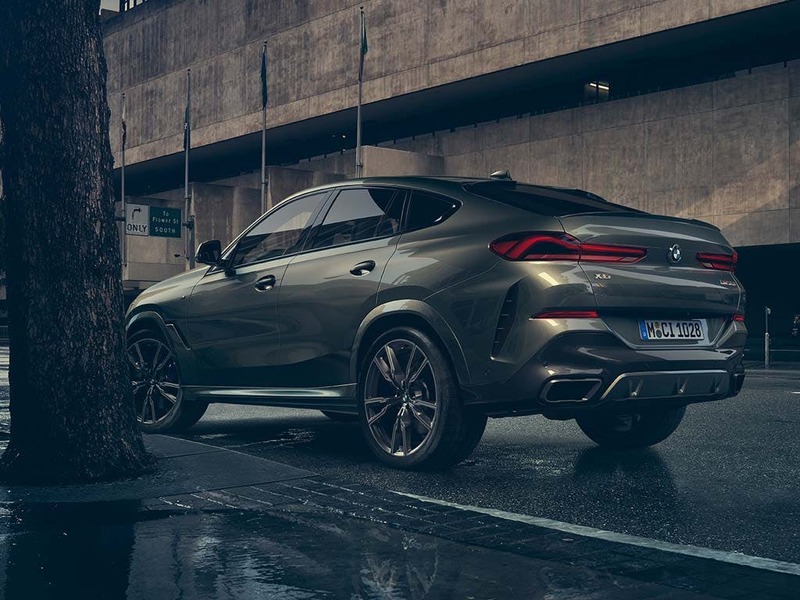 Athletic and powerful, the new BMW X6 brings an unbeatable combination of the presence of an X model and the athleticism of a coupé. Take centre stage wherever your adventure takes you, with an impressive mix of incredible power, outstanding equipment and premium quality. 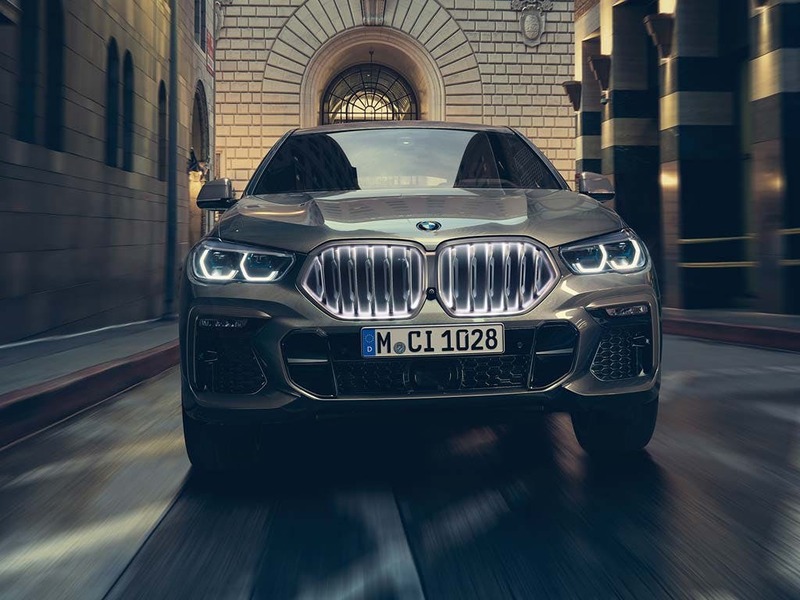 Experience extravagance with the new BMW X6. Visit your nearest BMW dealership in Bedfordshire, Cambridgeshire, East Sussex, Hampshire, Hertfordshire and London for a test drive. 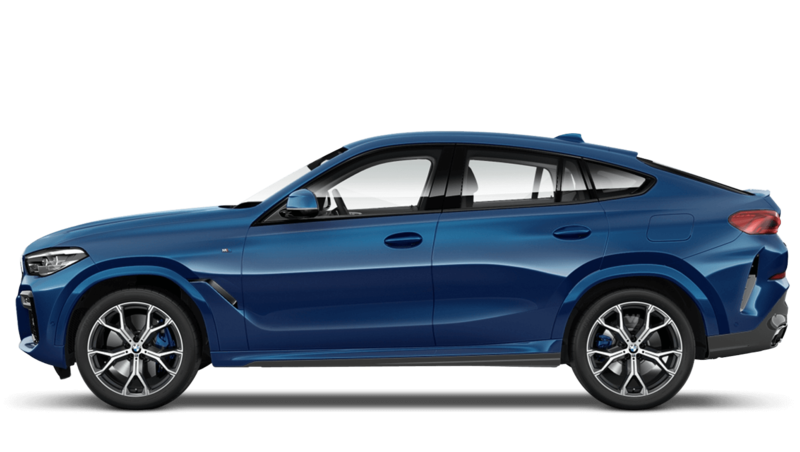 Discover all the latest BMW X6 offers currently available. 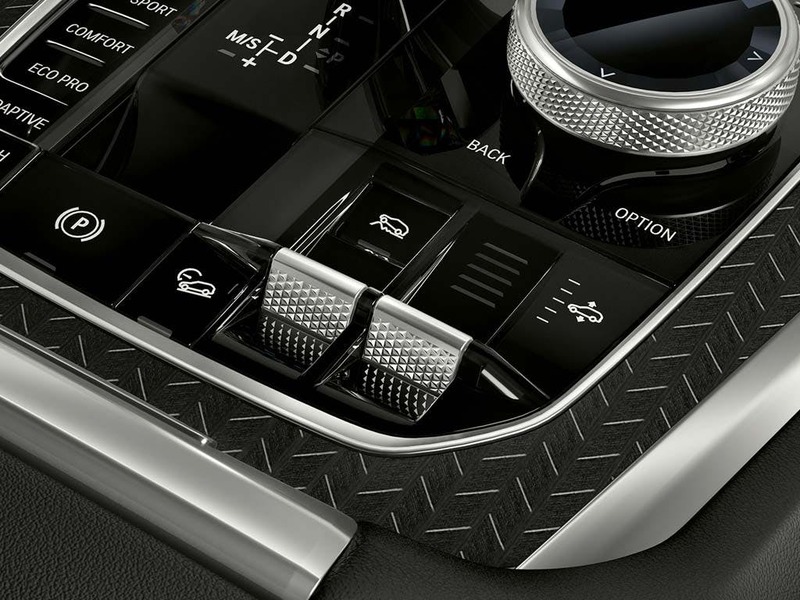 Every detail matters, view the BMW X6 technical specification. Download the latest X6 brochure. 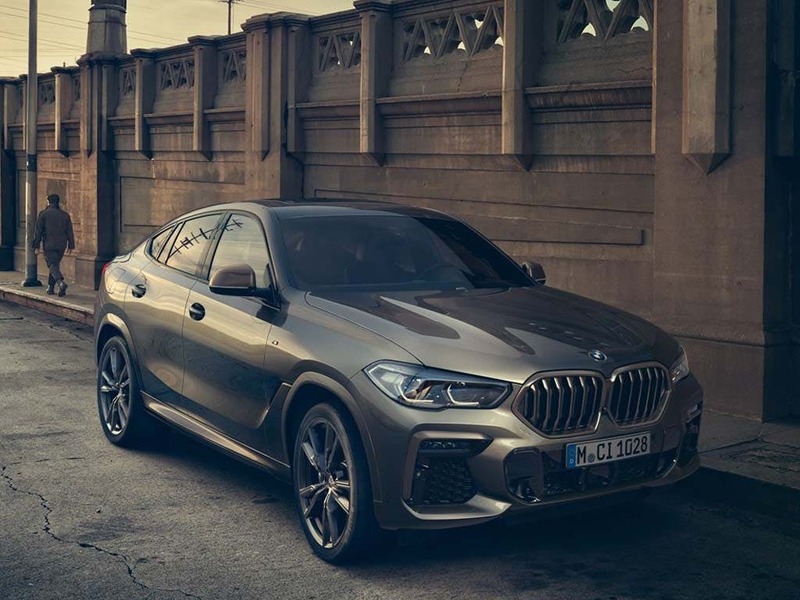 With a delightfully crafted and sporty five-person interior, the new BMW X6 provides plenty of room for everyone on board to travel in absolute comfort. 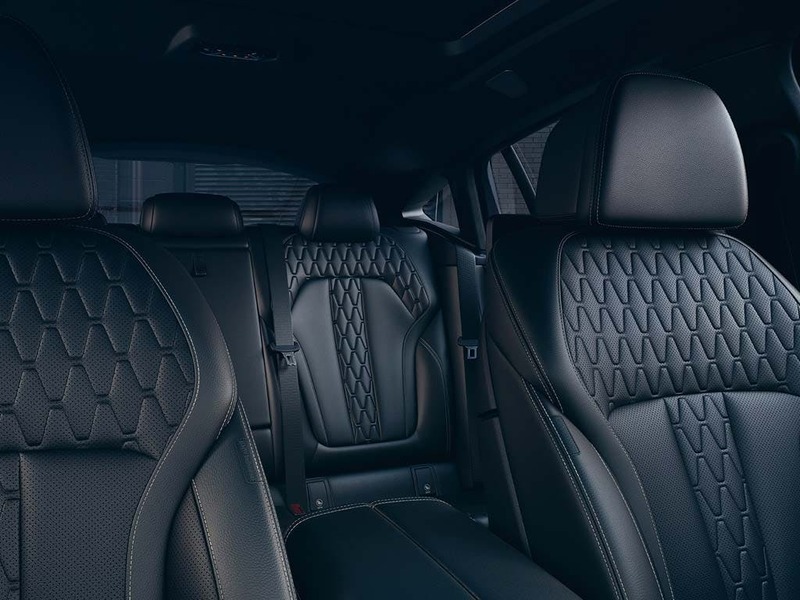 Upholstered in soft-to-the-touch Dakota leather, the X6’s cabin is customisable with a range of colours to choose from, such as Black, Coral Red and Ivory White, so you can enjoy it exactly the way you like it. 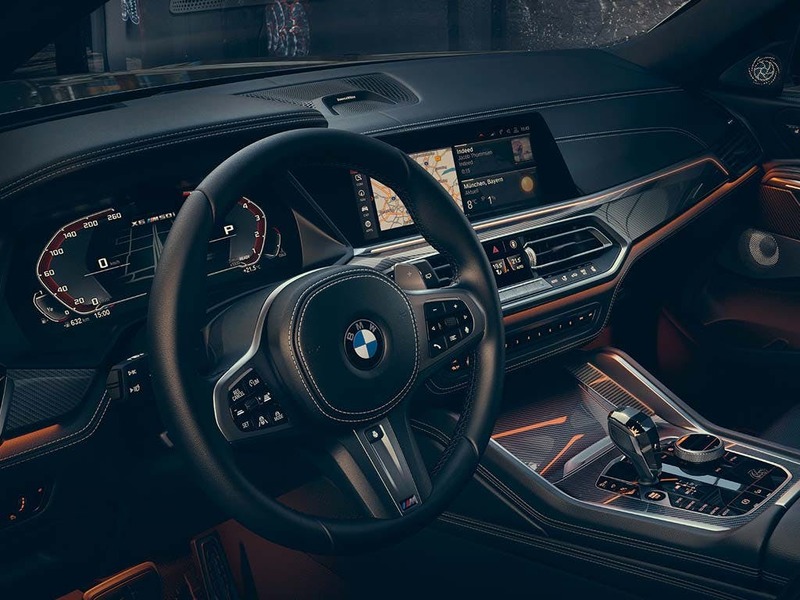 Featuring a leather steering wheel complete with gearshift paddles, ambient lighting and contrasting interior surfaces, the X6’s cabin is perfection in the making. Upholding the spacious reputation of all BMW X models, the new BMW X6 offers a generous amount of space throughout. The sizable cabin provides more than enough leg, elbow and headroom for all passengers, being 4,909mm wide and 1,989mm high. If luggage space is a priority, then the boot won’t disappoint with a capacious 580-litre cargo capacity. The 40:20:40 divisible rear seat backrest gives the option of an impressive 1,525 litres of luggage space with the rear seats folded down. 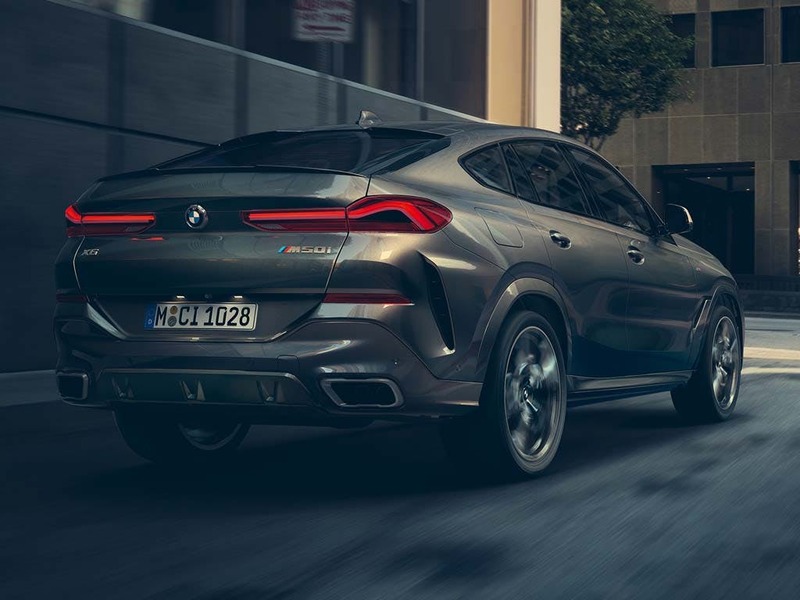 Providing an exhilarating performance, the new BMW X6 guarantees a smooth and powerful driving experience every time. Available with three different engines, the X6 offers outstanding efficiency no matter what engine you choose. The 3.0-litre six-cylinder diesel engine installed as standard produces 258bhp, achieving 0-60mph in less than seven seconds, with a combined fuel consumption of 47.1mpg. Alternatively, the 4.4-litre 450bhp V8 petrol engine delivers a peak torque of 650Nm, accelerating from 0-60mph in approximately five seconds. 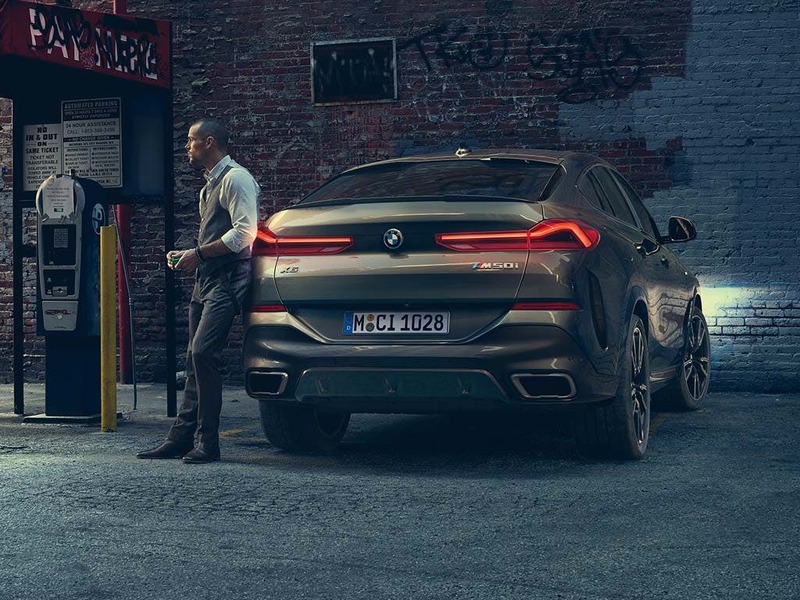 Featuring an abundance of innovative technology throughout, the new BMW X6 gives you plenty of opportunities to enjoy your favourite media. With a 20GB hard drive and a six-speaker sound system, the X6 is filled with enough of the latest tech to make any journey feel more like home. Route planning is made simple with the BMW Professional Multimedia navigation system, so you’ll never get lost again. 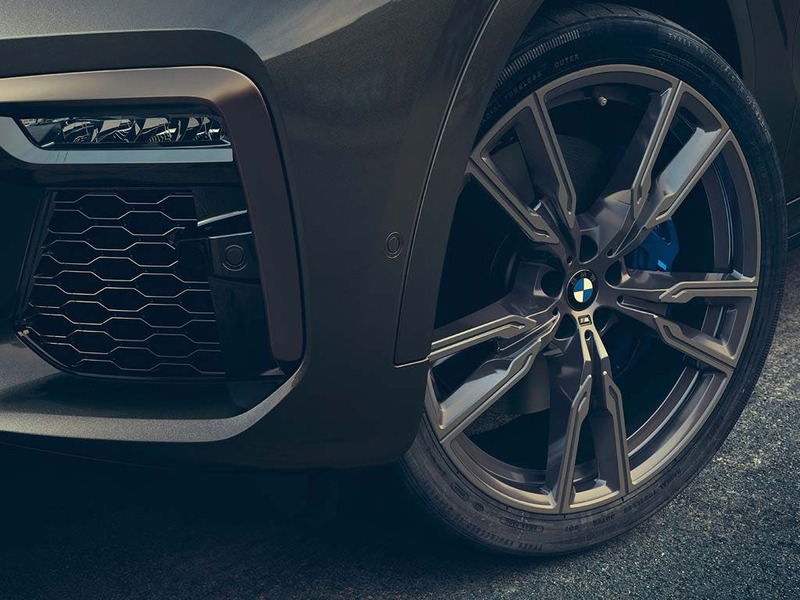 BMW ConnectedDrive acts as your mobile personal assistant, keeping you connected with the outside world. Discover the unmistakable drive of the new BMW X6. Visit your local BMW dealership in Bedford, Brighton, Borehamwood, Cambridge, Farnborough, Hailsham, Hindhead, Kentish Town, Ruislip, Stansted, Watford and Worthing for more information. of Barons And Chandlers BMW customers that bought an BMW X6 would recommend to their friends and family. Barons BMW Hindhead were fantastic because it is always a pleasure to visit the centre as there’s always a warm welcome from all of the staff in every department. I'd endorse Barons BMW Stansted because it had been the first time I have had such a professional service from Mr. Stuart Taylor who had done everything perfectly from start to finish. I know that I will come back for sure and will want the service from Mr. Stuart Taylor. The experience at Barons BMW Borehamwood was fantastic because the showroom was beautiful with a very pleasant atmosphere & the staff were super friendly & helpful especially Roger. 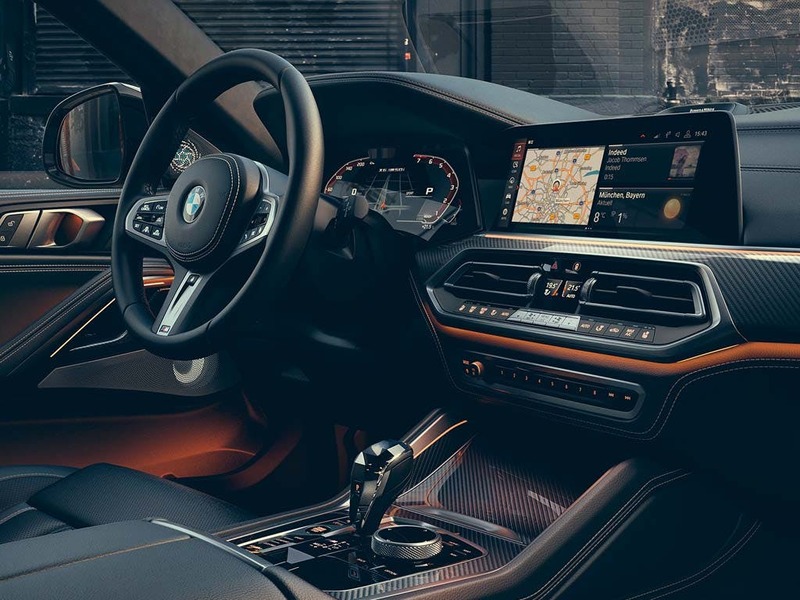 The experience at Barons BMW Cambridge was fantastic because the salesman was never pushy, any decisions were entirely my own, i was in control the entire time through the purchase and i am very satisfied with the car. Barons BMW Borehamwood were really helpful and I'd recommend them because Roger Prime, the salesman was both highly professional and extremely helpful. I would like a senior member of staff to congratulate him on his professional dealings with me. I'd recommend Barons BMW Borehamwood because from start to finish I was treated with courtesy and professionalism by everyone I came into contact with. Jake gave such personalise service. He understood my needs and provided solutions to my complete satisfaction. I'd endorse Barons BMW Stansted because they were welcoming, engaging and helpful. Once I had made my decision they were also very efficient in getting my new car to me. I'd recommend Barons BMW Borehamwood because the whole dealership has a buzz about it. Smiling staff and all extremely welcoming. I have mentioned this previously but this is the best dealership I have visited for 20 years, and I was previously an MD of a very large car retail and export company. too many dealerships appear to employ staff with no customer service skills or character, usually garnished with a low salary package and scripted conversation. Good work Boreham Wood. The experience at Barons BMW Bedford was fantastic because the Salesman that we dealt with (David Mabbutt) gave us all of the information that we required, he was friendly throughout and nothing was too much trouble. He was in no way 'pushy' and he let us make our own decisions but gave us advice when we needed it. The 'handover' of the car was equally as great. The BMW 'Genius' did a great job of showing us all of the cars features and controls. I would not hesitate to recommend Barons to anyone.